Joining Adfenix and scaling from roughly 15 to 70 people in less than a year, with a strong focus on recruitment, leadership and operational performance. My leadership that helps people grow, with a documented high eNPS above 75 (on a range from -100 to 100). Exploring all aspects of a SaaS business at SpeedLedger – from nitty gritty details to business strategy. Marketing Manager focusing on Online sales, creating a massive growth with a metric-driven approach and Content Marketing. Project Manager for the ”impossible projects” – I learned how to create success when failure is more likely and how to fail fast (and sometimes big). 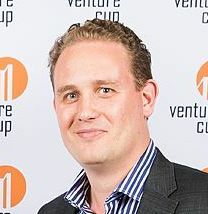 8 years of supporting Connect West and Venture Cup (3 years as chairman of the jury), helping startups in Gothenburg succeed. Born and raised in Gothenburg – so I will never work outside my hometown. My family – work is an essential part of me, but I would be nothing without my family. Frequent speaker with 50+ talks for both small and large audiences, with the purpose to educate and inspire.